Did You Say You Want to be a Scrum Master? You have attended the 2-day class, which I'm sure was a lot of fun, and you've learned a lot too. You've also passed the Scrum Master certification test. Now, you are ready and enthused to go back to the real world, apply your new knowledge and build great teams. The question is: are you ready for the real world? The journey has just started, and I can tell you from experience, it's going to be both fun and challenging. In this article, I may not be able to get you entirely ready for the real world, but I can highlight a few things which might just help you gain some footing as you go on this trip. For the most part, this phase is about reinforcement. You and the team will refer to the Scrum Guide for questions that have direct answers. For example: how long should the Daily Scrum be, or who should participate in the Sprint Retrospective? 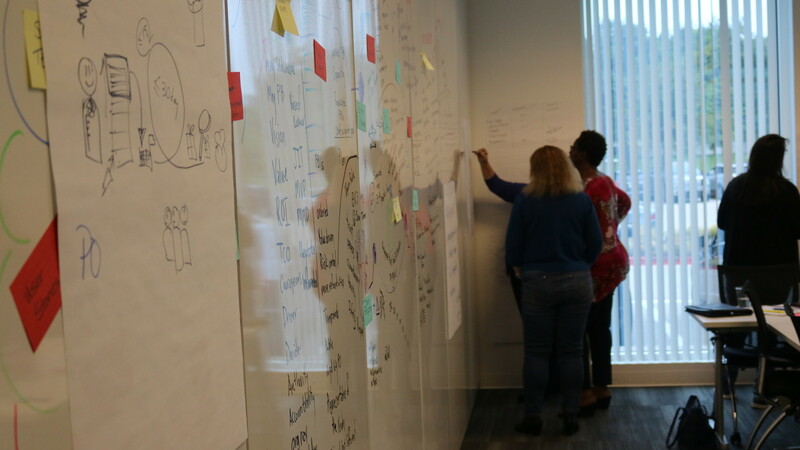 It's not only important to know all aspects of Scrum from the Scrum Guide, but, also, equally important to know what's not in the Scrum Guide so that answers to questions in those areas can be sought elsewhere. Since Scrum is a framework, you will notice that the Scrum Guide does not contain implementation or process recommendations. For this very reason, you will be able to find plenty of information on this topic in books, online posts, user groups, conference talks, blogs etc. More often than not, you will struggle with the question: "Which, out of the several answers, do I give my team?" instead of "Where do I get the answer?" This is where you will start to practice being non-prescriptive with your team. After all, out of the numerous options available, if you were to prescribe one to the team, wouldn't it be based on your personal preference or experience? How could you be sure that it would work for this team? At this point, it's best to clarify to the team that it's essential for them to pick approaches they are willing to try out and with which they connect. Meanwhile, you, in your role as Scrum Master, teach them how to work within the Scrum framework. "Here is a little secret about experience... all it does is keep you from fearing the unknown." This is something you develop after years of experience and after working with a lot of teams. But, here is a little secret about experience... all it does is keep you from fearing the unknown. Unfortunately, this is the picture from the other side of the bridge. Yes, like most people, you will have to cross this bridge. Add your experiences and learning from working with numerous teams to your tool bag. It's no longer about just being able to teach your team. Realistically, how much and how long can you teach from 18 pages? It's time to look beyond the Scrum Guide without casting it aside. Why is this so important? When you started, you were in a teaching, mentoring and advising mode. It's easy for your relationship with the team to become one where you know More and the team knows Less, and they look to you as the expert. The sooner you and your team can get past this stage, the better! You can do this when you shed your role as the expert and become the coach. Yes, you leave all that expertise, experience and knowledge that you acquired over several years at the door and become curious along with the team. You will notice that you no longer respond with expert advice. Instead, you might respond with something along the lines of, "Hmm... that's interesting, let's figure it out together." This response is not out of ignorance, it's out of curiosity to find what else there might be. Thus, you begin the process of instilling a culture of learning and continuous improvement within your team. This is when, instead of looking outwards for answers, the team will start to figure things out by means of experimentation. There will be very few occasions where the dynamic will exist for the formation of an effective combination of coach and team, but that shouldn't keep us from aspiring towards it. Organizations that wish to espouse a culture of innovation could significantly benefit from having teams with a level of agility where they can not only solve problems on their own, but also across multiple teams. These teams would have learned to function independently and collaboratively at the same time and without supervision. As Scrum Master, you have a very instrumental role to play in the creation of such an ecosystem. But, how will you know when you are ready? Perhaps, when you get comfortable leaving alot of your knowledge, expertise and experience at the door and settle alongside your team for exploration into the unknown.